We are sorry to inform you that Dr. Robert McAlack, a long time ASHI member, has passed away. Dr. McAlack was the director of the Einstein Hospital transplant lab and in later years he became the director of the transplant lab at Hahnemann University Hospital and the Children's Hospital of Philadelphia. Please click here to learn more about Dr. McAlack's work in the transplant field. We are sorry to inform you that Dr. Julius Cruse, a long time ASHI member and Past-Director of the HLA laboratory at the University of Mississippi Medical Center, has passed away. Please click here to learn more about Dr. Cruse's life and contributions to the field. With sadness, we have to announce that the founder of EFI and emeritus editor of Human Immunology, Jon van Rood, has passed away on July 21. Since his finding in 1958 that pregnancy is able to induce leucocyte antibodies, he has made many important contributions to the field of histocompatibility and immunogenetics. He was the first one using a computer to analyse a larger number of serological reactions in order to be able to detect some of the early HLA alleles like 4a and 4b, now called Bw4 and Bw6. He soon recognized the importance of HLA in transfusion and transplantation medicine. By founding the international organ exchange organization Eurotransplant, he has facilitated transplantation of many patients with organs from deceased donors. He was also involved in the first successful bone marrow transplantation in Europe. The foundation of Europdonor (nowadays called Matchis) and Bone Marrow Donors Worldwide (BMDW) was crucial for many successful haematopoietic stem cell transplantation all over the world. He received many prestigious awards, including the Rose Payne award, and 8 honorary doctorates. Also, after his retirement in 1991, Jon remained involved in research in the field of histocompatibility. Especially the effect of pregnancy on the immune repertoire of mother and child was his favorite subject. Many of us have heard him talking on the effect of the non-inherited maternal HLA antigens (NIMA) on the alloimmune response. In Jon, we will miss an inspiring mentor and a very warm personality. Fortunately, he will be remembered by his many scientific achievements. It is with great sadness that we write to tell you Dr. Ting passed away April 21, 2017. Our thoughts are with his family and friends. Dr. Ting served as President of ASHI from 1999 - 2000, in addition to serving on numerous committees. Dr. Thomas E. Starzl, known as the “father of transplantation” for his role in pioneering and advancing organ transplantation from a risky, rare procedure to an accessible surgery for the neediest patients, died peacefully Saturday, March 4, 2017, at his home in Pittsburgh. Dr. Starzl pioneered liver transplant surgery in the 1960s and was a leading researcher into anti-rejection drugs. Click here for more information about Dr. Starzl and his contributions to the field of transplantation. We're sad to inform you that former ASHI president, Chester M. Zmijewski, Professor Emeritus in the Department of Pathology and Laboratory Medicine, passed away on August 15th. Please click here to read about Dr. Zmijewski's contributions to transplantation. Dr. Paul I. Terasaki, 86, HLA Transplant Pioneer and Professor of Surgery at UCLA passed away on Monday, January 25, 2016 at his home in Beverly Hills. He was born on September 10, 1929 in Los Angeles, California to Shuhei George Terasaki and Hanako Kaya. In 1942, President Franklin D. Roosevelt issued executive order 9066, sending the Terasaki family, along with tens of thousands of Japanese Americans, to relocation camps in scattered locations throughout the country. Interred at the Gila River Relocation Camp in Arizona, he spent three of his formative high school years while there. At the end World War II, the family was released and subsequently moved to Chicago, IL where he graduated from Hyde Park High School. Following the advice of his parents, Terasaki enrolled at the University of Illinois at Navy Pier as a pre-med student for two years. In 1948 the family, unable to deal with the cold weather in Chicago, returned to Southern California where he transferred to UCLA and earned his Bachelor’s, Masters and Ph.D degrees in Zoology. After receiving his Ph.D, Dr. Terasaki was hired by the UCLA Department of Surgery, where he met Professor William Longmire, one of the founders of the UCLA School of Medicine. Dr. Longmire supported the research work of Dr. Terasaki and played a pivotal role in assisting Terasaki in obtaining a post-doctoral position in the laboratory of Nobel Laureate, Sir Peter Medawar, at the University College in London. His work with Professor Medawar would set the tone for his future research in transplantation. In 1964, Dr. Terasaki introduced the microcytotoxicity test at the international conference of scientists held at Duke University in North Carolina, revolutionizing the field of transplantation. It was ultimately adopted as the international standard for genetically matching transplant patients and recipients. In 1969, Dr. Terasaki officially established the UCLA Tissue Typing Laboratory, directing the laboratory until his retirement in 1999. For nearly 50 years, he has additionally focused on the study of the humoral theory of transplant rejection, which states that antibodies cause allograft rejection. Following his retirement from UCLA, he founded the Terasaki Foundation, a research center dedicated to cancer immunotherapy and the study of humoral immunity and transplantation. In 1984, he founded One Lambda, Inc., a transplant diagnostic company, to develop and provide transplant centers worldwide with the tools needed to better match their patients and monitor them pre/post-transplant. In 2012, he sold One Lambda, Inc. to Thermo Fisher Scientific. An inspirational role model, Dr. Terasaki published many books, wrote numerous scientific papers and served on several editorial boards in the field of transplantation, as well as received many awards, including the prestigious Medawar Prize. The prize, named after Dr. Terasaki’s mentor, Sir Peter Medawar, recognizes an outstanding investigator whose contributions had a profound influence on the field of organ transplantation and is awarded by The International Transplantation Society. In 2003, the American Society for Histocompatibility and Immunogenetics (ASHI) established the Paul I. Terasaki Clinical Science Award, which recognizes a transplant clinician whose scientific contributions have had a major impact in the field of transplantation. Throughout his life, Dr. Terasaki, along with his wife Hisako, was committed to preserving the history of Japanese Americans in the Unites States. He served on numerous committees, as well as contributed generously to the Japanese American National Museum in Los Angeles, The Memorial to Japanese-American Patriotism in World War II in Washington D.C., and the establishment of the Paul I. and Hisako Terasaki Center for Japanese Studies at the UCLA International Institute. In the field of science, the Terasaki’s were major contributors to UCLA, leading to the creation of the Terasaki Life Science Building and the Paul I. Terasaki Chair in Surgery at the David Geffen School of Medicine at UCLA. In 1998, he established the Nibei Foundation in Los Angeles which offers postdoctoral Japanese physicians who come to the United States an opportunity to meet and participate in research projects with Los Angeles based Japanese/American physicians. Dr. Terasaki is survived by his wife Hisako, his four children, Mark, Keith, Taiji, Emiko, six grandchildren and his brother Richard Terasaki. Longtime ASHI member, Dod Stewart, died unexpectedly on Friday, July 17th. Dod (George Dod Stewart) was known and loved by many. He participated in many of the International Histocompatibility Workshops and ran one of the best reagent serum procurement programs in the U.S. Dod over saw and managed the AFDT (SEOPF) Histocompatibility Specialist Course for over 20 years and also taught in the Histocompatibility and Immunogenetics course directed by Clara Gorodezky in Mexico City for 20 plus years - the latter course being the premier education in histocompatibility and Immunogenetics for Central and South America. Dod was active in ASHI having served on numerous committees, on the Accreditation Review Board, on Council (Board of Directors), and as the ASHI Treasurer. Dr F. Carl Grumet, the former Director of the Stanford HLA lab and current ASHI member passed away on Saturday (July 11). Dr. F. Carl Grumet, MD was an Emeritus Professor of Pathology and Emeritus Director Stanford Histocompatibility Laboratory of Stanford University. Dr. Grumet served as a Scientific Consultant to the International Atomic Energy Agency of the U.N. and several life science companies including Cetus and Sangsat. Shortly after joining the Stanford Medical School Faculty in 1972, Dr. Grumet founded the Stanford University Blood Center and the Stanford University Hospital Transfusion Service. He co-founded both Cetus Immune Inc., and Genelabs Technologies Inc. He also served as a Member of the Scientific Advisory Board of Linkage Biosciences, Inc.
Dr. Grumet served as the First Director of Stanford’s Specialized Center of Research in Transfusion Medicine. He co-directed the Stanford Histocompatibility Laboratory until 1990, thereafter Dr. Grumet was sole Director until 2006. He has served on the Editorial Boards of several scientific journals in the field of transplant immunology. Included among Dr. Grumet’s professional activities has been his membership on numerous councils, boards, and committees in the field of solid organ and stem cell transplantation. He has over 160 scientific research publications to his credit. He earned his M.D. at the University of Pennsylvania in 1965 and received his Postgraduate Clinical and Research training at Stanford and the N.I.H. Carl peacefully passed away at home on July 11th - where he asked to spend his final days, surrounded by family. Carl’s funeral and memorial service will take place July 14th at 1:00 pm at Congregation Beth Am location at 26790 Arastradero Rd., Los Altos Hills, CA 94022, followed by burial at Skylawn Memorial Park located at Hwy 92, San Mateo, CA, 94002. A link to his obituary can be found here. It is with extreme sadness that we inform you that our longtime friend and colleague, Dr. Thomas Williams, MD passed away unexpectedly on January 7, 2015. Dr. Williams was an HLA Laboratory Director at TriCore Reference Laboratories and a major contributor to our ASHI organization and the field of histocompatibility. In addition, he made tremendous contributions to the academic and clinical and research missions at the University of New Mexico. Dr. Williams is survived by his wife, Margaret, three sons, Andrew, Alex, and Henry, mother, Jacqueline C. Williams, four siblings, William, Susan, Donna and Molly, and their extended families. Many of our older ASHI (AACHT) members will remember Cass Schumann quite well. Sadly, Cass passed away on December 12, 2014. Cass was formerly with CryoMed, which was the 1st Cryogenics company to exhibit at our annual ASHI meetings. The 1st ASHI (AACHT) meeting where I met Cass & John, was in 1976 at the Monteleone Hotel, New Orleans. CryoMed was a continuing ASHI exhibitor for many years, until being purchased by Thermo Scientific. Following CryoMed’s purchase, Cass accepted the position of National Sales Manager for Custom Biogenics, however this company did not focus on the HLA Field. Please click here for a link to Cass’s obituary. We are very saddened to inform you that Robin Medis, from Blood Systems Laboratories, passed away on December 3, 2014. Robin was an ASHI member for over 26 years. She began her career as a technologist in 1978 and joined the histocompatibility laboratory in 1981. She advanced through her career to the highest level of Technical Director over the Clinical Laboratory operations. Robin successfully earned her CHS certification by the American Board of Histocompatibility and Immunogenetics and thoroughly enjoyed not just her job, but the people she worked with. In addition to her successful professional career, Robin enjoyed spending time with family, and friends, and traveled extensively. She also was very successful raising and showing pure-bred Cocker Spaniels. Robin is a great loss to our profession and to those who knew her well. From her bereaved friends at Blood Systems and Creative Testing Solutions. Brian Susskind, a long-standing member of ASHI and an active contributor to the field of organ transplantation immunology, died unexpectedly at his Southlake, TX, home on November 21, 2014. Born in Orlando, FL, in 1953, Brian grew up on the beaches and inlets of St. Petersburg, FL. Science was an early passion for him, and his parents tolerated a chemistry lab in their garage, brooding chickens in the back yard and many other adventures of his active mind. He received his B.A. in 1974 from the University of South Florida, and then went on to earn his M.S. in 1976 and his Ph.D. in 1979 from Louisiana State University. He became a Research Fellow in the Department of Biochemistry at L.S.U. Medical Center from 1979-1980, and completed his Post-Doctoral Fellowship at Sloan Kettering Institute for Cancer Research the following year. The next nine years were spent at the Medical College of Virginia, where Brian worked in the field of tumor immunology and developed his interest in organ transplantation immunology. In 1991 he relocated to St. Louis to work and train in Dr. Mohanakumar’s Immunogenetics Laboratory at Washington/ Saint Louis University Medical School and The Barnes Hospital, where he remained until 1994. Brian’s next four years were spent with Dr. Ron Kerman as the assistant director of the organ transplantation immunology laboratory at the University of Texas Medical School, where he advanced his studies and became a Diplomat of The American Board of Histocompatibility and Immunogenetics in 1995. In 1998 Brian moved to Chicago to become the HLA Laboratory Director at the Loyola University Medical Center Transplantation Program, followed by the HLA Laboratory Director position at The University of Cincinnati from 2001 to 2008. Brian was recruited to the position of HLA Director at the Baylor University Medical Center in 2007 and, weighing his life-goal of saving as many lives as possible, accepted the position at this larger facility and moved to Dallas, Texas in 2008. Brian was passionate about his work and was an active member of ASHI and the Laboratory Director’s Forum. He worked for many years as a laboratory inspector and then as a committee member with the College of American Pathologists. He had many friends in ASHI and throughout the HLA field who cherished his generosity of spirit and his company. Brian’s professional life was inextricably interwoven with that of Laurie Ogborn, his wife of almost twenty-three years, and their beautiful son, Zachary, born in Houston in 1998. This was a family that knew the power of adjustment – to moves, to new jobs and cities and to new ways of being together as Brian’s legs failed him with the progression of his multiple sclerosis. Travel and dancing were replaced with theater and conversation and entertaining at home, and Laurie and Zachary were the better for the opportunity to be immersed in Brian’s sharp mind and passionate spirit. Brian was not only an accomplished transplant immunologist but had devoted his life to “Tikun Olam” the Hebrew principal of “repairing the world “. He cared deeply about his patients and worked tirelessly to better their lives. He had great strength and resolve and his family was grateful when Life Gift called after Brian’s death to arrange for organ and tissue donation. Brian is missed deeply by Laurie and Zachary, as well as by his many family members, colleagues and friends. At the 1972 NIH Tray Users meeting, the first USA HLA organization, CRAB (Cooperative Regions Against Bureaucracy), was established by Don Cross, Glenn Rodey, Wilma Bias, Bill Braun, Bill Cannady, June Shaw, and Anne Heath. Its purpose was the exchange of sera and scientific knowledge. Eventually, the activity of this group sparked interest in the organization of a national society. At the next NIH Tray Users meeting in 1974, a steering committee was formed comprised of Wilma Bias, Angenieta Biegel, Bill Braun, Bernie Carpenter, Don Cross, Olga Jonasson, Bill Miller, Herb Perkins, Glenn Rodey, June Shaw, and Frances Ward. Their efforts led to the formal incorporation on May 15, 1974, of the American Association of Clinical Histocompatibility Testing (later renamed as the American Society for Histocompatibility Testing - ASHI) and the first meeting was held in Birmingham, Alabama on April 29, 1975. We have lost several members of that group and most recently, we lost someone who was a dear friend, Dr. June Fore Shaw. When I met June, she was the director of the blood bank and the HLA lab at the University of Alabama in Birmingham. As the historical note above shows, June was very active in the HLA community and played a key role in the formation of our professional society. June also cared about social issues and equality, the rights of women, the quality of life of those burdened by illness or poverty, and she walked the walk, treating all she met with respect. To June, the character of a person was always more important than the degree they had and she was a strong advocate for technologists. Although quiet in demeanor, June was full of life. She loved to dance and play tennis and was an avid fan of the Grateful Dead. She also had a wry sense of humor. Evenings at the ASHI meetings always included a sing along in one of the vendor’s suites. At one of those meetings, June and friends went out to a music store to buy what became the ‘ASHI guitar’. When a sales person proclaimed, “We deal in used organs” June’s response was “so do we”. June’s career took several turns. She retrained as an emergency room physician and then, as that became too strenuous, turned to family practice. Over the years, although no longer part of the HLA community, June kept in touch with friends from various laboratories and hosted several parties at her beautiful home in Birmingham. Those of us who knew June will miss her and all of us are indebted to her for all she did for the HLA community. Frederick Sanger, PhD died November 19, 2013 at Addenbrooke’s Hospital in Cambridge, near his home in the nearby village of Swaffham Bulbeck. He was 95. DNA and proteins are arguably the most important components of the cells of living creatures. Both are produced by stringing together long chains of individual molecules — amino acids in the case of proteins and nucleotides in DNA. Understanding the identity of the individual molecules in these chains and the sequence in which they are strung together proved to be one of the major biological challenges of the last century. Only by unlocking these sequences would scientists be able not only to understand the fundamental workings of biochemistry, but also to duplicate it. In the early 1950s, British biochemist Frederick Sanger of Cambridge University developed the first viable technique for determining the amino acid sequence of proteins and used it to describe the structure of insulin, which is composed of 51 amino acids. His work led to the first precise identification of the composition and structure of a protein and proved that such structures are unique. In honor of that work, Sanger received the 1958 Nobel Prize in Chemistry. After a move to the Medical Research Council Laboratory of Molecular Biology, Sanger turned his attention to the much more difficult problem of sequencing DNA. By 1977, he and his colleagues were able to establish the sequence of the 5,386 nucleotides in the virus phiX174. Using a refinement of this technique, in 1981 they established the sequence of human mitochondrial DNA, which is composed of 16,569 pairs of nucleotides — the first human DNA ever sequenced. The following year, they published the sequence of bacteriophage lambda, which has 48,502 base pairs. The technology they used has subsequently been automated and used in sequencing the 3 billion base pairs of the human genome. For developing this DNA sequencing method, Sanger shared the 1980 Nobel Prize in Chemistry, making him the first person to win two chemistry Nobels, the first Briton to win two Nobels, and only the fourth researcher ever to win two. Frederick Sanger was born Aug. 13, 1918, in Rendcomb, Gloucestershire, England. His father was a physician and his mother was the heiress of a prosperous cotton manufacturer, which allowed young Sanger to be financially independent through most of his collegiate studies. He enrolled in St. John’s College at Cambridge, intending to follow in his father’s footsteps as a physician. He later wrote that he was “not academically brilliant,” and that only his parents’ wealth allowed him to attend Cambridge. But once he discovered the sciences and, in particular, laboratory experimentation, he found that he could “hold my own even with the most academically outstanding.” He received his bachelor’s degree in natural sciences in 1939, just as the war in Europe was beginning. His Quaker religion made him a conscientious objector and he was excused from service and allowed to continue his doctoral research, receiving his degree in 1943. Continuing to work at Cambridge, he began to explore ways to determine the structure of proteins. Proteins were too large for researchers to simply determine their sequence in a straightforward manner. Working with insulin, which was one of the few proteins then available in a pure form, Sanger developed the idea of breaking it down into smaller peptides, which could be separated and analyzed individually. A key to this process was Sanger’s discovery of a chemical called dinitrophenol, or DNP, which bound strongly to only one end of a protein or peptide chain. Using this reagent, Sanger could analyze each peptide one amino acid at a time, working from one end. When the original protein was broken apart under varying conditions, the technique produced peptides of different lengths. Overlaps in sequences in peptides produced under different conditions allowed the complete protein to be reassembled much like a jigsaw puzzle. Unlike most researchers who win a Nobel, Sanger did not use his first prize as an opportunity to become an administrator or to set up a large lab where he could assign research projects to underlings. He later wrote that he had little talent for either teaching or administration and was not good at creating experiments for others. What he liked to do, he said, was research. Sanger applied a similar approach to DNA analysis, but this time he used enzymes to copy a single-stranded piece of DNA, stopping the process at various points to determine the nucleotide at the end of the growing chain. Advances in chemistry by this time allowed analysis of nucleotide chain fragments containing as many as 800 nucleotides. Walter Gilbert of Harvard University had independently developed a technique for sequencing DNA, and he and Sanger shared the 1980 Nobel with Paul Berg of Stanford, who was the first to move a gene from one organism to another. Sanger’s approach proved much more efficient than Gilbert’s, however, and it is now widely used. The only other researchers to receive two Nobels were John Bardeen, who received the physics prize in 1956 and 1972; Marie Curie, who received the physics Nobel in 1903 and the chemistry Nobel in 1911; and Linus Pauling, who received the chemistry Nobel in 1954 and the Nobel Peace Prize in 1962. Sanger retired at the age of 65 to spend more time gardening and “messing about in boats.” He received Britain’s Order of Merit in 1986, but refused a knighthood, saying that he did not want to be called “Sir.” Sanger was preceded in death by his wife, the former Margaret Joan Howe. He is survived by two sons, Robin and Peter, and a daughter, Sally Joan. Herbert Asa Perkins, MD, a beloved husband, father, grandfather and mentor passed away early Tuesday morning at the age of 94. Herb lived his life with grace and humility. His actions spoke louder than words possibly could; Dr. Perkins’ lifetime achievements contributed profoundly to the scientific foundation of the fields of transfusion and transplantation medicine, and to the education and training of scientists, fellows, physicians, and medical technologists in these fields. Born and raised in Boston of two first-generation immigrants, Herb diligently earned an undergraduate degree from Harvard University. He went on to complete medical school at Tufts University School of Medicine in Boston, during which time he courted and married the one true love of his life, Frances Perkins. In 1944, Dr. Perkins commissioned as a 1st Lieutenant in the Medical Corps of the United States Army and served active duty in the Southwest Pacific. While stationed in Japan, he was joined by his wife and newborn daughter Susie whom he had not yet met, exemplifying their inseparability and his devotion to family. “FrananHerb,” as they were amicably called by friends, returned to the United States where he discharged as a Major and launched a purposeful medical career. Herb and family traveled from coast to coast, during which time he served teaching appointments at Tufts University School of Medicine, Stanford University School of Medicine, University of California, San Francisco School of Medicine and Washington University School of Medicine amongst others, before settling in Palo Alto to raise a family which grew to five daughters. Dr. Perkins’ work ranged from studies in the early 1960s that contributed to understanding of blood coagulation, solved the bleeding problem of heart-lung bypass and led to the first open heart surgeries, to work in the 1970s characterizing the human leukocyte antigen (HLA) system and the role of HLA matching in organ and bone marrow transplantation, to studies in the 1980s on prevention of transfusion-transmission of HIV and other infections. Herb’s multidisciplinary expertise grew to encompass Coagulation, the HLA System, Virology, and ultimately Legal Medicine. He was retained by Irwin Memorial Blood Bank (now Blood Centers of the Pacific) as the Director of Research, where he achieved the reference lab’s accreditation by the American Association of Blood Banks (AABB), set up a training school for blood bank technologists, and carried out research of his own which was instrumental in combatting transfusion associated AIDS. Herb went on to serve as Scientific Director, Medical Director, President & CEO of Irwin, often wearing multiple hats. After retirement in 1993, Herb remained involved at Irwin and continued to mentor fellows and discuss research through the completion of his life. In other notable accomplishments, Herb also co-founded and served as director and chair of the board for the National Marrow Donor Program, acted as president of the American Society for Histocompatibility and Immunogenetics, chaired the Standards and Histocompatibility committees for the AABB and was an associate editor for the Journal of Transfusion. Dr. Perkins was one of only four recipients of AABB’s prestigious Fantas Award, which recognizes lifetime contributions to the fields of transfusion medicine and cellular therapy, and is the namesake for a Scientific Lectureship Award which sponsors a distinguished scientific speaker each year at the California Blood Bank Society Annual Meeting. Ever humble, Herb attributed much of his career to serendipity. Throughout his life, Dr. Perkins remained dedicated wholly to his wife and children. At one point he rved as chair of the board for Peninsula School which his daughters attended, and was the camp doctor at Camp Trinity where they spent their summers. Next to family, Herb considered education to be of the utmost importance, andprovided every opportunity for higher education to his 5 daughters and their children for generations to come. Herb could be found in best spirits when surrounded by those dear to him as punctuated by a smile, whistle or a hum. His benevolence educed respect, and Herb stood steadfast as a rock for support or a guardian for direction at all times. Herb is loved and missed by his family who continue to care for his wife of 71 years. His loss will be felt by all who knew him and benefitted from his wisdom, support, leadership and friendship. As Dr. Michael Bush, his successor as Director of Research at Irwin testified, “I was extremely fortunate to have Herb as my mentor, colleague and friend for 30 years. He was wonderful scholar and human being. He lived 95 years without a wasted moment, and never said an unkind word to or about anyone. His legacy will live on in so many that he has trained and mentored.” As Herb would be the first to acknowledge, great advancements are launched from the shoulders of giants. Herb’s shoulders will stand as a cornerstone for generations to come. A memorial service will be held on a later date at Blood Centers of the Pacific in San Francisco, CA. In lieu of flowers, please send donations to the Jewish Community Federation, FBO Herbert & Frances Perkins Fund at 121 Steuart St. San Francisco, CA. 94105. For further contact, email karenperkins@mindspring.com. It is with sadness that we report longtime ASHI corporate supporter, Art Robbins, 81, died June 15. Art was known for biomedical instrumentation innovations that helped propel the Human Genome Project, among many other groundbreaking endeavors. He earned his Bachelor of Science degree in chemistry from San Jose State University. Starting as a bench chemist, he moved into biomedical instrumentation sales then, in the mid-1960s, launched the first of three companies that would manufacture and sell his inventions worldwide, including the company for which ASHI knew him, Art Robbins Instruments. Art is survived by his six children, 16 grandchildren, four great-grandchildren, and his life partner, Laurie. Dr. John Kersey, founding director of the University of Minnesota Blood and Marrow Transplant program and Masonic Cancer Center, passed away unexpectedly in March 2013. In 1975, he led the team that completed the world’s first successful bone marrow transplant for malignant lymphoma. That patient is alive and well today, and bone marrow transplantation has become the standard of care for many types of blood cancers and other illnesses. Bone marrow transplantation for leukemia and lymphoma spurred development of knowledge of the benefit of HLA matching and clinical histocompatibility testing in allogeneic transplantation. Dr. Kersey was a past President of the International Society for Experimental Hematology and the American Society for Blood and Marrow Transplantation. His colleagues say his generosity as a friend and collaborator set him apart. On January 29, 2013, Dr. Wilma Boatman Bias (Ret. Professor, Johns Hopkins Medical School) passed away. Dr. Bias was an ASHI member from 1980-2001, was co-recipient of the first Distinguished Service Award, and was instrumental in having UNOS use ASHI as its accrediting agency. She started the Immunogenetics Laboratory and made numerous contributions to the advancement of histocompatibility and immunogenetics. To read more about Dr. Bias’ contributions to our field, click here. Dr. Karen Sullivan, Director of the Histocompatibility & Immunogenetics Laboratory at Tulane University in New Orleans passed away unexpectedly in December. A memorial service is being planned to honor her at Tulane. She is survived by two sisters and two nieces. During her time with ASHI, Dr. Sullivan was a member of the Publications and QAS Committees. 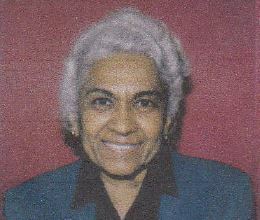 She was the current Chair of Directors’ Affairs. Her knowledge, friendship and leadership will be greatly missed by all who had the privilege of knowing and working with her, both in the lab and in ASHI. Dr. Emanuel Hackel, Ph.D., 87 years old, of East Lansing, Michigan, passed away July 9, 2012. He was born in Brooklyn, New York to Nathan and Esther Hackel. Manny, as he was known to friends, attended New York University at the age of 16 and transferred to the University of Michigan after his freshman year. He left before finishing his degree to join the Navy in 1941, and rose to the rank of Lt. Commander before leaving active duty. He was proud to remain in the Naval Reserve for another forty years. Following the war, he continued his education at UM where he received a Bachelor’s (1948) and Master’s in science (1949). He received a PhD in human genetics from Michigan State (1953). Dr. Hackel was an emeritus professor of Zoology and Medicine at MSU, whose work in immunohematology, histocompatibility and human genetics provided significant contributions to the science of both transfusion medicine and transplant immunology. During his career, he served as the chair of the Natural Science Department, acted as assistant dean of University College and served on the athletics council. Professor Hackel received the College of Natural Science’s Alumni Association’s Meritorious Faculty Award in 1995. He was proud of his long teaching tenure, which grew organically from his personal philosophy of fairness and responsibility. Aside from his contributions on campus, Dr. Hackel will be remember for early work in HLA genetics, his contributions to the American Association of Blood Banks, the Michigan Association of Blood Banks and the American Society for Histocompatibility and Immunogenetics. Manny’s contributions to the AABB’s Technical Manual and his service on the ASHI accreditation service bespeaks of his belief in stewardship for one’s profession. These contributions are noted with his awarding of the Emily Cooley Memorial Award and also the John Elliott Memorial Award of the American Association of Blood Banks. John was a Phi Beta Kappa graduate of Rockford College, a PhD in anatomy and pathology from Bowman Gray Medical School, and a postdoctoral NIH Fellow, Harvard Medical School. His career in histocompatibility began in 1974 in the Tissue Typing Laboratory, at the Medical University of South Carolina, Charleston. John participated early on in groups that became SEOPF, where he was Secretary, and ASHI. While at Blond McIndoe Centre for Transplantation in England, his work lead to two treatments for women experiencing pregnancy losses; heparin injections and paternal leukocyte infusions. John was Professor of Obstetrics and Gynecology, at Southern Illinois University, Springfield before becoming Director at the Methodist Center for Reproduction and Transplantation Immunology in Indianapolis, Indiana. He mentored many students and post-doctoral fellows. John recently directed the HLA-Vascular Biology Laboratory, St. Francis Health, Indianapolis. John’s interests included the role of antiphospholipid antibodies in pregnancy and allograft loss. His questioning of dogma lead to the discovery of redox-reactive autoantibodies for which he holds five patents. He founded a biotech company, 3R, developing tests for early detection of Alzheimer’s disease. John was an aviation enthusiast and scuba diver. He traveled widely and opened his home to friends and colleagues from around the world. He is survived by his wife, Dawn Wagenknecht, also an active member of ASHI. Dr. Charles Bernard Carpenter, ASHI’s 3rd president, died on September 30, 2011, after a valiant struggle with Alzheimer’s disease. Bernie, as he was affectionately known, was a Senior Physician in the Renal Division, Brigham and Women’s Hospital and Professor of Medicine at Harvard Medical School. Dr. Carpenter was a 1958 graduate of Harvard Medical School. Following his internship and residency in New York and a brief stint in the U.S. Navy, Dr. Carpenter returned to Boston in 1962 to be trained in nephrology by Dr. John P. Merrill at the Peter Bent Brigham Hospital. Dr. Carpenter’s research was focused on studying the molecular targets for the immune response to transplanted tissues. He trained 60 postdoctoral fellows in his lab, many of whom are now leaders in academic nephrology. During the course of his career at Brigham and Women’s Hospital he served as the Director of the Tissue Typing Laboratory, the Interhospital Organ Bank, the Immunogenetics Laboratory, and as the Acting Director of the Renal Division. Dr. Carpenter was a founding member of ASHI, serving as president from 1977-78.He was also a founding member of the Transplantation Society, the American Society of Nephrology, and the American Society of Transplantation. He was the 2004 recipient of the John P. Peters Award of the American Society of Nephrology and the 2005 recipient of the David Hume Award of the National Kidney Foundation. Dr. Carpenter will be remembered fondly by the ASHI community. The American Society of Histocompatibility and Immunogenetics and all immunologists mourn the passing of Ralph M. Steinman on Sept. 30, 2011, at the age of 68. Just three days after his death, Dr. Steinman, a Professor of Immunology at New York’s Rockefeller University, was named a co-winner of the 2011 Nobel Prize in Physiology or Medicine. Dr. Steinman shared the Nobel Prize with Bruce A. Beutler, a Professor of Immunology and Genetics, at the Scripps Research Institute in La Jolla, Calif., and Jules A. Hoffmann, a researcher at The University of Strasburg, who discovered the dendritic cell receptors that are triggered by bacteria and viruses. Dr. Steinman was credited with the discovery of the role of dendritic cells in the initiation of the immune response to pathogens and cancers avoiding horror autotoxicus, i.e., the destruction by the organism of its own cells. Dr. Steinman’s strong belief in the potential therapeutic value of dendritic cells in immunotherapy of cancer was translated in his relatively long survival (four years) after receiving dendritic-ellimmunotherapy of his own design. Fritz Bach was born in Vienna and emigrated to England during World War II. He attended Harvard College, Washington University, and Harvard Medical School. While at the University of Wisconsin, he developed the mixed leukocyte culture (MLC), a test that was used for over 20 years to determine histocompatibility for bone marrow transplantation. He was part of the team that performed the first bone marrow transplant for a patient with Wiskott-Aldrich syndrome in 1967. His collaborative work developing the primed lymphocyte test (PLT) helped define a new genetic system now termed HLA-DP. Both the MLC and PLT were used to define the cellular recognized epitopes of the HLA molecules. Through his family studies, he played an important role in the recognition of two classes of MHC molecules, now known as class I and II. Later he became interested in xenotransplantation and focused on the potential risks involving several mediators of inflammation. While he was on the faculty of the University of Wisconsin, University of Minnesota, and Harvard Medical Schools he mentored countless doctoral students and junior faculty members. The American Society of Histocompatibility and Immunogenetics and all immunologists around the world mourn the passing of Baruj Benacerraf on Aug. 2, 2011, at the age of 90. In 1980, Dr. Benacerraf received the Nobel Prize in Physiology or Medicine, sharing it with Jean Dausset and George D. Snell. He was credited with the definition of immune response (Ir) genes as MHC-linked genes that control T cell immune responses. He postulated that the existence of the broadly polymorphic MHC system determines an individual’s specific responsiveness or non-responsiveness (suppression) to various pathogenic agents, thus securing the survival of the species during epidemics. Jean Dausset, MD was a French immunologist. He received the Nobel Prize in Physiology or Medicine in 1980 along with Baruj Benacerraf and George Davis Snell for their discovery and characterization of the genes making the major histocompatibility complex. With his Nobel Prize and a grant from the French Television, Dausset was able in 1984 to create the Human Polymorphism Study Center (CEPH). Jean Dausset passed away on Saturday, June 6th 2009 at the age of 92 in Mallorca, Spain. We will remember him as a giant and a visionary as well as a dedicated humanist. Yehia Awadalla, M.D., Ph.D. passed away on July 9, 2008, at the age of 58. He was Professor of Microbiology and Immunology at Ain Shams University School of Medicine in Cairo, Egypt. He served as Director of the Tissue Typing Laboratories at King Fahad Hospital Saudi Arabia, and at Ain Shams University Medical Center. In 2001, Dr. Awadalla joined the Tissue Typing Laboratories at the University of Pittsburgh Medical Center as a visiting professor. His research in Histocompatibility dealt with the structural basis of HLA matching, antibody reactivity with HLA epitopes, and the role of HLA in BK virus nephropathy in kidney transplant recipients. He has presented his data at ASHI Meetings and other HLA meetings, and he authored several peer-reviewed publications. Dr. Awadalla was a member of ASHI, and he became an ASHI-certified laboratory director. Yehia received a liver transplant in 1994. Unfortunately, he experienced many medical complications that lead to his untimely death. He is survived by his wife, Gigi, and three teenaged children. We at the UPMC Tissue Typing Laboratories will miss our dear friend and colleague. Norman Clifford Kramer, 78, a kidney specialist who became an emeritus professor of medicine at George Washington University Medical Center, died Oct. 11 at the center. He had complications from pneumonia. Dr. Kramer, a Washington resident, spent more than 20 years on the center’s staff before retiring in 1985. Besides his teaching duties, he was involved in clinical studies of organ donation for kidney transplants. After his retirement, he was director of laboratories at the Maryland Medical Laboratory Inc. in Halethorpe, Md. ; what is now the Lehigh Valley Hospital and Health Network in Allentown, Pa.; and the University of Puerto Rico in San Juan. Since 1999, he had been director of Howard University Hospital’s histocompatibility and immunogenetics laboratory. He was a native of the Bronx, N.Y., and a chemistry and physics graduate of the Citadel in South Carolina. He received a master’s degree in biochemistry from GWU, where he was also a 1954 graduate of the medical school. After three years in the Air Force, he did his residency at D.C. General and had a renal fellowship at GWU. He was a former board member of several medical societies and associations, including the Southeastern Organ Procurement Foundation. He retired from the Air Force Reserve as a captain in 1972. Survivors include his wife of 52 years, Patricia Elly Kramer of Washington; five children, Mary Virginia Custer of Burtonsville, John Kramer of Rockville, Bernard Kramer of Silver Spring, Peter Kramer of Arlington and Anne DiMarco of Adamstown, Md. ; and 12 grandchildren. He was the founding director of GWU’s histocompatibility and immunogenetics laboratory, which aided the medical center’s transplant program. During his career, he also was co-director of D.C. General Hospital’s renal clinic. I have suspected it often and for a long time. Now, I’m sure: I walked and talked and worked with a giant. On August 23, 2005, we feted the life and accomplishments of Charles G. Orosz, affectionately known to everyone as “Charley,” at a memorial gathering held at the Ohio State University Medical Center. The speakers were a diverse group of 15 individuals, including a dean, distinguished immunologists, PhDs and MDs Charley had mentored, ASHI’s immediate past president, and Charley’s local “lieutenants,” which included me. What struck me most was how we all, from diverse perspectives and experiences, sounded the same broad themes that underpinned his remarkable life. Charley will be recognized as ASHI’s 2005 Distinguished Scientist in Washington at the annual meeting. His development of experimental approaches to understand cellular interactions involved in graft acceptance/rejection are recognized throughout the world. Charley’s research on the immunobiology of graft acceptance was supported for many years by the National Institutes of Health. He authored more than 200 peer-reviewed publications and received many honors and awards. In addition, he was associate editor for the Journal of Immunology and served on the editorial boards of seven international journals. Charley mentored a variety of individuals at many different levels. 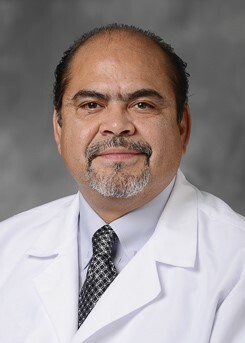 He helped forge the professions of individuals seeking post-graduate training in transplantation immunobiology, careers in academic medicine, and clinical histocompatibility testing at both the technologist and director level. His mentoring continued well after the termination of someone’s formal training. Whether it was a program project, meeting organizer, or the ASHI board of directors, Charley was skilled at ferreting out the very best that every player brought to the table. He coordinated everyone’s talents to work to greatest advantage on the project at hand. Whatever Charley undertook, the goal was to execute with excellence. If it was worth doing, it was done very well. This dedication to excellence was fueled by boundless energy and an enthusiasm that was infectious. With a glint in his eye, mirrored by the grin on his face, Charley might give vent to the rebel in his spirit. The challenge was never meant to harm, but it often threatened the status quo and always with good purpose. Those who were fortunate to work closely with Charley quickly discovered that he thought out-of-the-box. This thinking brought new ways to approach old problems. He was uniquely gifted to take ASHI’s new structure and put it to the test. He was confident and comforted to know that, despite the interruption of his active presidency since late December 2004, ASHI was still moving forward. At the end of the day, after all the committee work, workshops, and sessions it was time for those tired, but happy feet. Charley worked hard and played hard. Who can recall an ASHI meeting without Charley’s frenzy on the dance floor coming to mind? I last saw Charley dance at his son’s wedding this past June. Although Charley was in attendance in a wheel chair, due to a painful leg infection, he got out of his chair when it came time to dance. Those happy feet demanded their moment. No matter the context, Charley forged friendships and naturally perforated the line separating professional and personal lives. He was easy to get to know, and eagerly shared his expertise and life experiences with many stories and a broad smile stretching beneath his hallmark mustache. Charley last addressed our membership at the annual meeting held in San Antonio on October 5, 2004. He presented his vision as our incoming president during this address. He said, “We are now entering the young adulthood of ASHI, which is characterized by an altruistic citizenship, an interest in taking our place as a recognized, contributing member of the transplant community. This period is marked by an emergence from the self interests of our adolescence, and the adoption of a clear, outward focus on the interest and needs of the various components of the transplant community.” He ends, “In short, we need to let people know that we are ready, willing and able to help them.” These words reflect the passionate commitment to excellence and service that were hallmark characteristics of Charley Orosz. They can be summarized as: We’re ASHI, and we’re here to help. That’s the challenge Charley gave us as we left the meeting and went back to our home labs and local programs. Following their death, a very select group of individuals become larger than life. These are the heroes that we draw on for inspiration. Once in a very great while, someone comes along who is larger than life while they are with us. Charley Orosz was one of these rare giants. Ed. Note: Charles G. Orosz passed away Sunday, August 7, 2005. He had been ill for the past eight months. We have said good-bye to a friend, almost a member of our family. Jose Roberto Moraes came to Dallas the first time in 1973: that is 32 years ago. When he first came to us, he stayed in our home. He played soccer with our kids. We loved him dearly and will miss him forever and so will many others who were touched by his gentle character, his friendly smile, his behavior of gentleman and scholar. Having finished his residency in internal medicine just about when his hospital in Rio decided to start a kidney transplant program, Roberto Moraes was asked to set up the Histocompatibility Laboratory. And so he came to learn typing, screening and crossmatching in our lab. He was dedicated and hard working and tireless in his pursuit of new knowledge. Having quickly learned the basics and after the transplant program in Rio became a reality, Roberto came back on two occasions to do research. In 1975, he was joined by his wife Maria Elisa and they both worked on related problems for two years. Roberto started his life-long interest in endothelial cell antigens and published key papers. In 1988, they came again. This time they remained for three years. The family then included three daughters. The main topic of Roberto’s research was the investigation of antibodies against alloantigens distinct from HLA, expressed in endothelial cells and not in lymphocytes. He rapidly obtained results and the first paper appeared already in 1975. These polymorphic antigens were later found also in monocytes and in keratinocytes. Through hard work and perseverance it was established that such antibodies were correlated with early humoral rejection of kidney allografts. Brazilian Society for Histocompatibility and Immunogenetics (1979); Latino-American Histocompatibility Society (1981); International Histocompatibility Workshops. Roberto was active in forming a Brazilian Histocompatibility Society and together with others, particularly Zulay Layrisse of Venezuela , founded the Latino-American Histocompatibility Society. He also participated in the International Histocompatibility Workshops and was highly regarded by members of the international community. In subsequent years, much of Roberto’s effort went to the establishment of immunogenetic support for bone marrow transplantation in Rio de Janeiro and in Sao Paulo . He also facilitated and coordinated the distribution of donor kidneys for transplant centers in five participating hospitals. After he visited the American National Marrow Donor Program (NMDP) these efforts culminated in the development of a Brazilian Marrow Donor Registry, first in Sao Paulo and subsequently, on a much larger scale, in Rio de Janeiro. This kind man, taken away prematurely from his family and friends, will be remembered always by his colleagues. He was liked by everyone, he was trusted and he was admired for his integrity and his contributions to our community. Farewell Roberto. We will miss you!